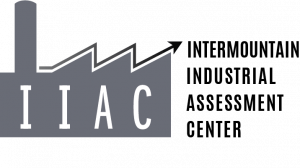 The Intermountain Industrial Assessment Center (IIAC), hosted by the University of Utah is part of the U.S. Department of Energy’s Industrial Assessment Centers Program. We provide no-cost energy consulting services to manufacturers in the Intermountain Region. Our assessments typically require one day on site in your facility and we typically identify 10-20% energy and productivity savings. As part of our services, we will deliver a detailed, professional report outlining several ways that your facility can save energy and money. Our analysis includes detailed engineering and economic calculation of potential energy saving ideas. We typically only target recommendations that result in a 2-year financial payback for our clients.